"Big History is an intellectual exercise looking at the world from a broader perspective. It is a wonderful, innovative and divergent way to teach foundation concepts through a forward-thinking lens that blends history, humanities, critical thinking and science"
Students from five pioneering schools across Mumbai have been experiencing the world from a unique perspective gained through studying Big History. These students are identifying complex problems as they journey through their personal and intellectual lives. Understanding the complexity of these problems by exploring them from different perspectives and scales. Using their enhanced critical thinking and literacy skills to arrive at multi-dimensional solutions. These students have been empowered as innovative global citizens. 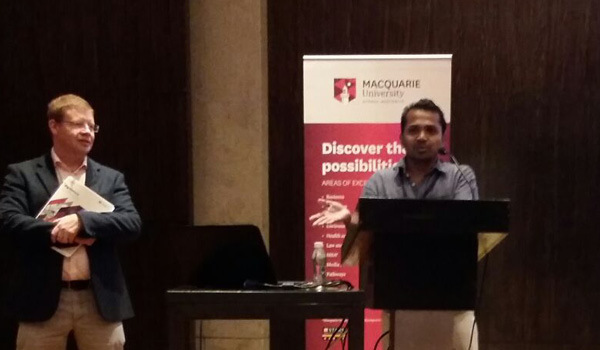 Based on the successful experiences of teachers and students implementing Big History as part of the Indian Big History Pilot Program in 2015, the Big History Institute Macquarie University is working with Indian schools to expand this pilot to 25 schools across Mumbai for the 2016/17 academic year. 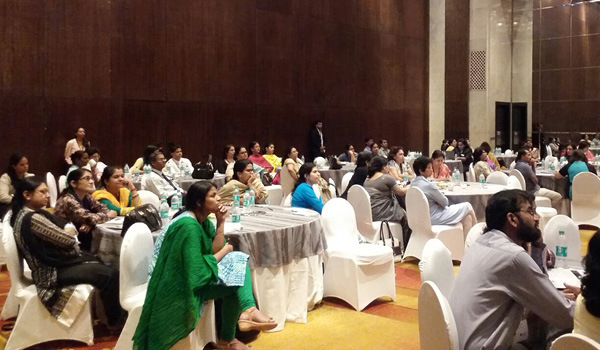 Earlier this year, the Big History Institute Executive Director Andrew McKenna travelled to India to meet with over 100 secondary teachers from across Mumbai to discuss the benefits for students studying Big History, and to hear from current Indian Big History Project Pilot School teachers implementing Big History in their classrooms. Prospective Indian Big History teachers were excited to hear of the possibility for their students to undertake the 13.8 billion year journey through the history of our universe, connecting knowledge from across the sciences and humanities to better understand their world. Combine this with the opportunity Big History provides to enhance student's critical thinking and critical literacy skills, and participants displayed great enthusiasm for introducing Big History in their schools. "The expanded Indian Big History Pilot Program is another crucial step Macquarie University is taking as we work with students and teachers across India who are acquiring the knowledge, skills and supporting resources to implement Big History in their classrooms. I am excited to see the ways these collaborative efforts will empower future generations to become active global citizens able to think critically and contribute solutions to important and complex problems," said Andrew McKenna. As a growing hub for innovation and a rising global economic power, India will be an influential source of the innovative thinkers needed to address the complex global challenges that humanity faces today and moving into the future. The Big History Institute, Macquarie University recognizes the importance of contributing to the development and support of these leading thinkers of the future.